REMINDER: Friday at Midnight 597 Barrels Are Gone For Good! It's official, we are wrapping up our final production run on the Remington 597 barrels. Quantities are limited to the materials on hand so it's quite possible they'll be gone before the deadline of 11:59pm Friday, November 16. I know it may sound cliché to say "limited quantities available" or "when they're gone they're gone" but there is no other way to say this. We are doing one more run of Remington 597 22 LR Barrels - both our in our lightweight carbon fiber THM design and our stainless steel bull barrel. 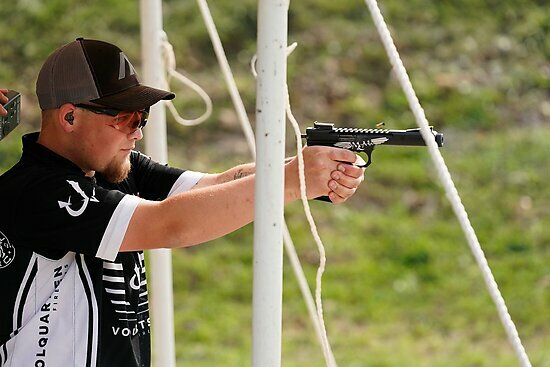 As always, the Rimfire Challenge World Championship didn't disappoint. It was a fun weekend on the range getting to visit with old friends and make new ones along the way. My personal highlight of the weekend was getting to meet so many of the young kids that are getting into shooting.